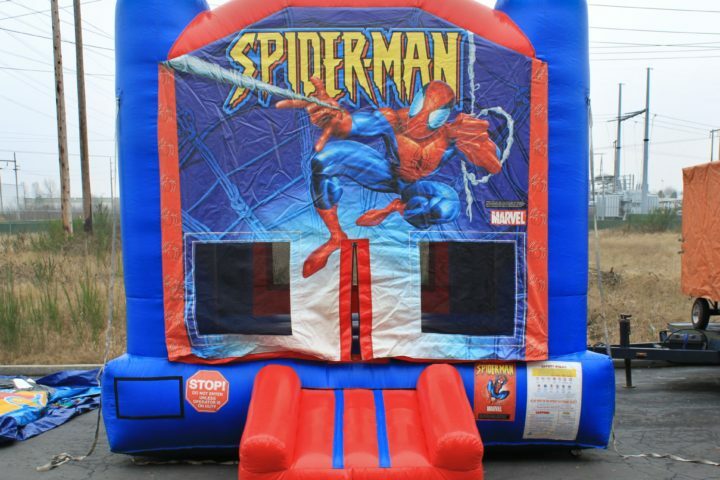 The modular bounce house is one of many modular rental inflatables in our inventory that can be customized with any number of themed panels. Many of the available themes can be viewed, but if you don’t see one that fits your needs, ask about additional themes that can be purchased in advance of your event. 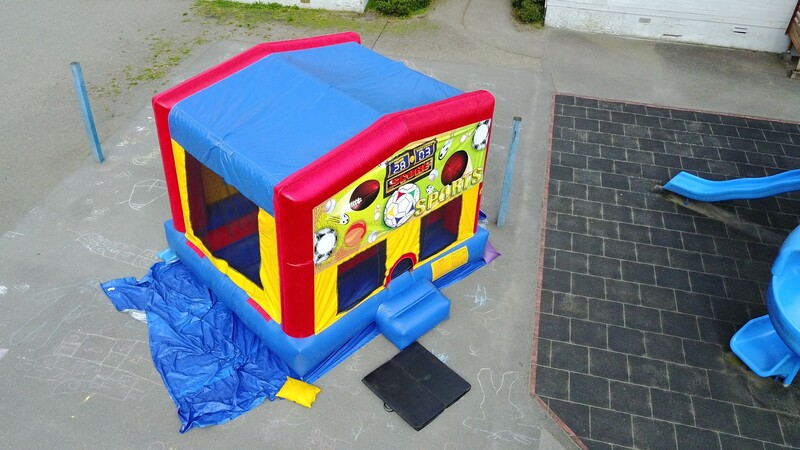 This bouncy house is your standard, high quality, rental unit, equipped to handle the abuse of many children jumping in it simultaneously. 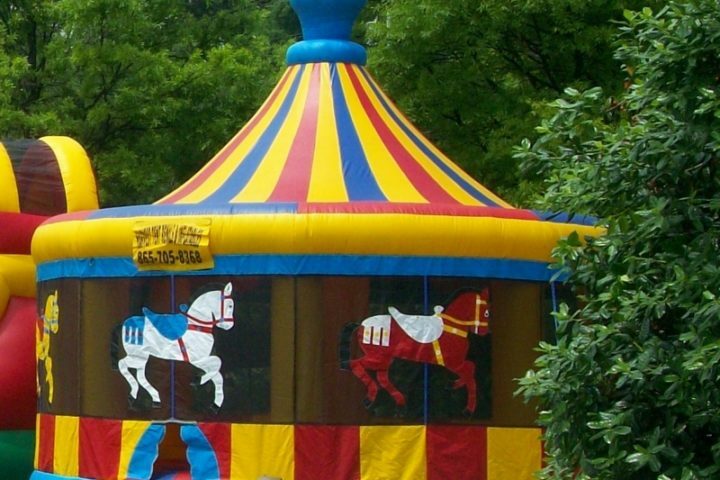 With any rental bounce house, it is required that an adult monitor the unit at all times to ensure guest safety. Participants need to be briefed on the rules, which include not doing flips, engaging physically with other participants, and not bouncing too close to the entrance. 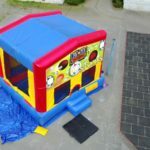 When delivered, bounce houses are secured through the use of stakes and sandbags for both safety reasons, and to make sure the rental stays in it’s designated spot throughout the course of the event. 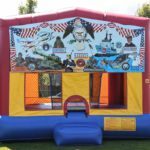 While no bounce house is particular resistant against the elements, this unit has a solid piece of vinyl across the top, so it is much more likely to stay dry inside, during rainy or inclement weather compared to a lot of other bounce houses.